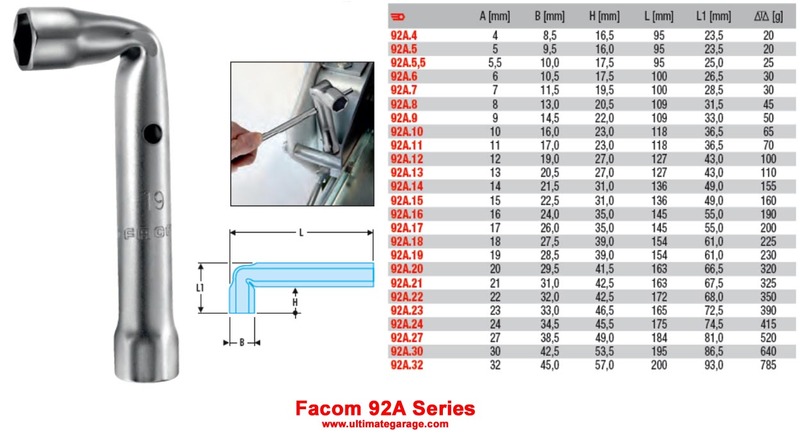 Facom Metric Angled Box Wrench Set-7mm (92A.7) - great for reaching nuts on long threaded rods. Passage hole allowing to use shanks: 160A. Shank to use: 160A.1 for the dimensions 4 to 23 mm; 160A.2 for the dimensions 24 to 32 mm. Metric sizes: 4 to 32 mm.